Nevett Ford Melbourne | Family Lawyers : I want a divorce but I don’t know where my husband/wife is. I want a divorce but I don’t know where my husband/wife is. 1. You and your spouse are married. 2. You and your spouse have been separated for at least 12 months. 3. There are adequate care arrangements in place for any children of the marriage. 4. If you and your spouse were married for less than 2 years at the time of applying for a divorce, that you have a counselling certificate from an approved counsellor or permission of the court to apply for a divorce. 5. If you and your spouse were married overseas, that at least one of you is an Australia citizen or ordinarily lives in Australia and has done so for 12 months immediately before applying for a divorce or regards Australia as your home and intend to live indefinitely in Australia as a citizen or resident. 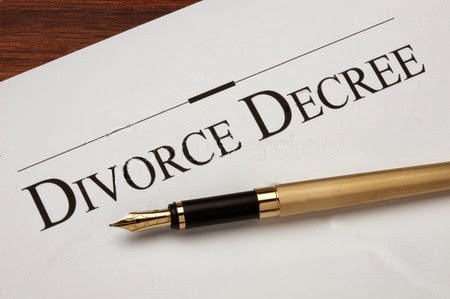 If you do not have the consent of your husband or wife to apply for a divorce, you can file your own application, also known as Sole Application. Once the Sole Application has been filed at Court, ordinarily you would need to serve it on your spouse at least 28 days prior to the date of the divorce hearing (or 42 days if your spouse was overseas at the time of service). If you do not know the whereabouts of your spouse and you have made reasonable attempts to contact your spouse at his or her last known address, telephone number or email, then you may apply to the Court to do away with the service requirement. As the application process can be quite technical, we suggest you contact a lawyer who specialises in Family and Relationships Law for specific advice. At Nevett Ford, we have two Accredited Specialists in Family Law, Annmarie Farrell and Elizabeth Hall.